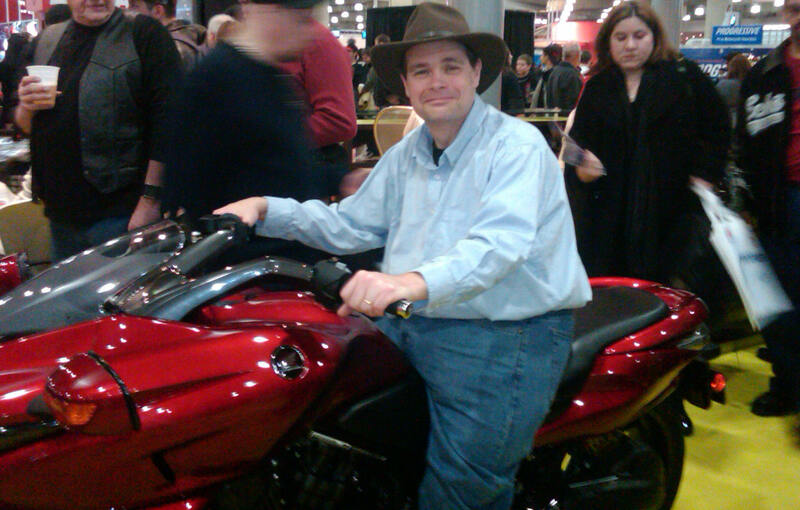 It is Saturday January 23rd 2010 and I am at the Motorcycle show. I have not gone for the past 5 years because I could not do the walking. This year I caught the Motorcycle bug. Not only can I walk, but I can ride too. Here I am on a Honda DN-1 and one day I will own one of these! But for right now, I am not spending $16,000 on this. because of the way my leg bends, I need an automatic. The new China bikes are all automatic, as well as the old Hondamatics. They came in 3 flavors, CM400A, CB 450A and CB750A.